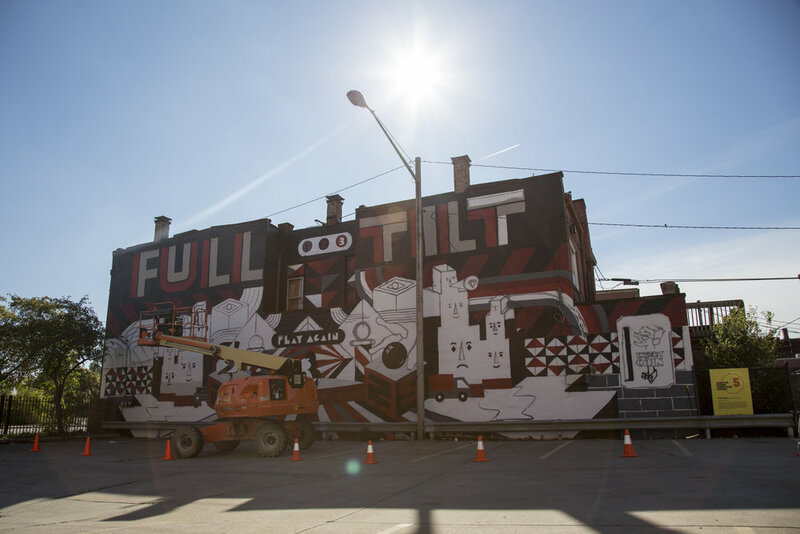 A consortium of six non-profit organizations hosted 7 Cleveland-based artists and 6 international artists, via 3-month residencies, to create 11 semi-permanent and permanent artworks in the Hingetown area of Ohio City. SPACES hosted Michela Picchi (Berlin, Germany) and Ryan Jaenke (Cleveland, OH) who designed and painted two of the most lively and distinctive murals in the collection; for both artists, these murals represent the largest works in their oeuvres. SPACES also provided expertise in residencies and handling new commissions to the consortium. This effort was funded through the Cleveland Foundation's Creative Fusion residency program.